LUMBERTON, N.J. — Interstate Connecting Components (ICC), a division of Heilind Electronics Mil-Aero and a leading distributor of military-aerospace connectors and accessories worldwide, officially announced its successful transition from ISO 9001:2008/SAE AS9100C to the revised ISO 9001:2015/SAE AS9100D aerospace quality standard. Issued by the Society of Automotive Engineers (SAE), SAE AS9100D is the international standard that specifies the requirements for the quality management system of a supplier to aviation, space and defense industry customers. The revised SAE AS9100D standard emphasizes continuous improvement and includes important new requirements for aerospace and defense suppliers that build on the foundation of the more general provisions of the International Standards Organization (ISO). ICC’s quality management system is certified by SAI Global International in achievement of these requirements. Key elements for ICC under the revised standard include risk mitigation, change adaptation, counterfeit product prevention, addressing of safety concerns and ensuring the effectiveness of all customer service and assembly processes. Additionally, the company’s achievement is listed within the IAQG OASIS database. Visit the Interstate Connecting Components website for more information. 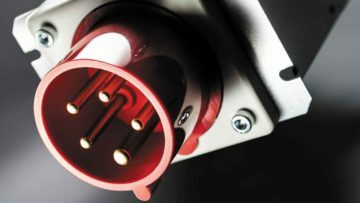 A division of Heilind Electronics, North America’s largest interconnect distributor, Interstate Connecting Components (www.connecticc.com) is an AS9100D-certified value-added distributor for the entire spectrum of electronic connectors, fiber optic connectors, backshells, tools, cable marking systems and connector contacts. 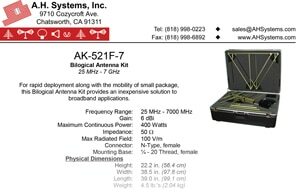 ICC specializes in the military-aerospace market and offers T’DA® 2-day assembly on D38999, M28840 and many other MIL-SPEC connector lines from leading manufacturers like Amphenol Aerospace, Glenair and Conesys. Follow ICC on Facebook at facebook.com/connecticc and on Twitter at twitter.com/connecticc. V Technical Textiles Inc. Partners with STI Fabrics Inc.